We all know that, today key to success for every business weather it is of product or services ,is online trading. E-commerce is a term used for trading of products or services online i.e. over the network. If you think to start any online business , first and foremost thing that you need is a website. Earlier, building a website , specially a commercial one used to be a tricky , time consuming and expensive task. But now , woo commerce themes / templates have made it easy and available to all within no time. Woocommerce is basically a plugin , one of the best of its kind from WordPress which is being used as e-commerce platform. WordPress is a trusted name which is delivering a business level features and quality. Woocommerce from WordPress have made creating a e-commerce website a matter of few clicks only. It was never so daunting before woo commerce themes. Even if you have a very little knowledge of computer world , with WordPress woo commerce themes , you can easily setup an online business. Online Branding – Changing your online store to look like a brand is not an easy task like that. One needed either perfectly skilled a programmer / web designer or a platform which is free from the hardship of such technical specifications and can be handled by anyone. Safety from online threats – Biggest concern for any e-commerce site owner is security breach. Cyber security threat or breach cannot be afforded any point of time in any online business because such a situation would put you in a mess and your customers at stake. Hence a solution that keeps you away from such a disaster is a must requirement. Performance Measurement – Performance measurement is another key point that any business needs to keep close eye on. It is not possible without techie professional until you have a compact solution that provides you ability to measure it on your own in a simpler way. Best part of woocommerce is , people using it , can perform a whole lot of flexibility with their products without worrying for technical side of things. Users do not need to go beyond their limits to start an online store as it makes setting up your online market very easy. Woocommerce is designed to be a very user-friendly product. Despite being free, woocommerce have lot of room for customization as par requirement of your online store. It provides all features that you require to maintain status of being “Professional” for your brand, such as ,you can view your customer’s past order history , apply discount , manage shipping etc. Most Import reason for adopting woo commerce are woo commerce themes itself. A quick list of the best eCommerce ready Woocommerce themes as of today. These optimized themes are there to work with wide variety of eCommerce settings like WP E-commerce, Jigoshop and others. These all are categorized as premium themes with design of picture and pixel perfect. 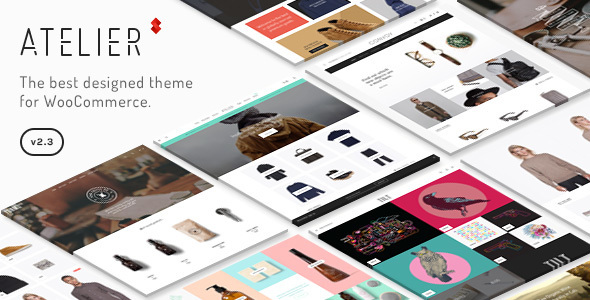 Extensive usage and functionality of these premium themes are to create unique, successful and good e Store. Various out of this list can be customized to be used for sale of different set of goods or products. 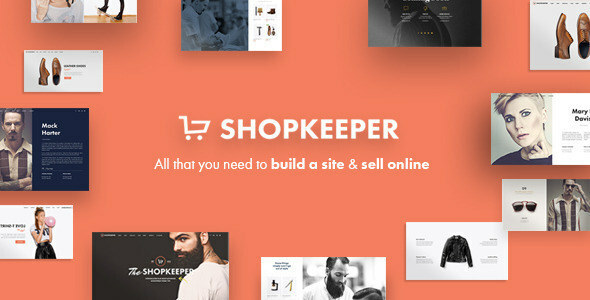 Shopkeeper is a proper and well eCommerce ready theme that one can absolutely use for publishing their personal, organization or company portfolio, and highlighting their products or building an effective and efficient online store for their business. This theme has a fluid & completely responsive lay-out design to make sure that their visitors must have a cool and awesome viewing experience every time one will visit their website. It is very compact, flexible and full of options which will make the development of website very easy. One can utilize this theme for various different other purposes aside from setting up an online store as this also offers lay-out for a diverted or landed page, corporate or agency, personal or individual style, full width slider, parallel ready and product/ item catalog. Adding to this, Shopkeeper includes Visual Composer plugin code also that allows you to build advanced, latest lay-outs for your pages, posts, timelines and the homepage of the website using a drag and drop front and back end editors. It also includes a Slider Revolution plugin to help people generate striking slideshows for the content, items, products and images an easy job. Shopkeeper advanced theme option panel usually makes it happen for you to change the look of your eCommerce website. With the help of the theme’s header navigation which could be sticky, your customers will easily find the items and products they are looking for on your site. If you have any queries, issues or concerns while setting up your website, you can depend on their reliable and responsive customer support. 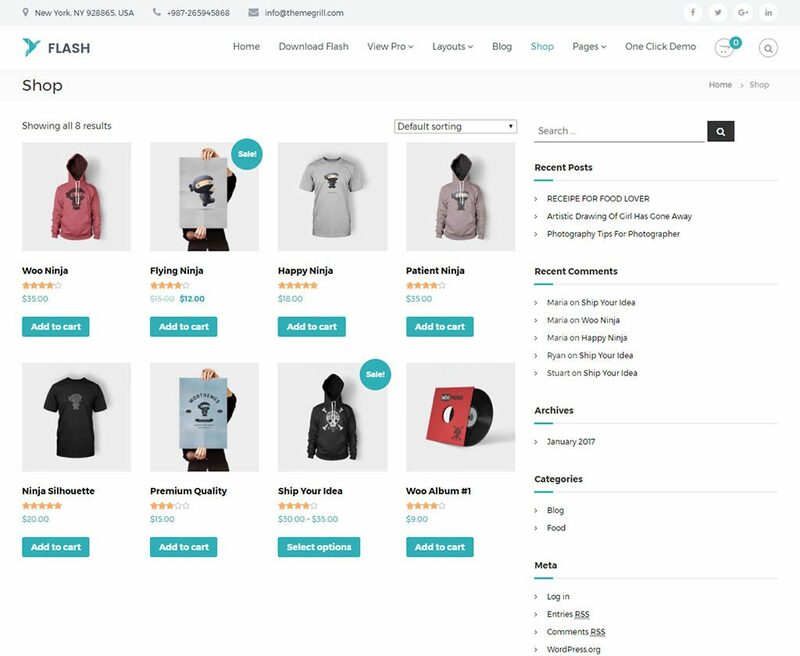 This theme is now faster even than ever making it one of the fastest and most usable WooCommerce theme available today. Uncode is a versatile, powerful, inviting, warm, superbly simple and well streamlined theme, both end user and developer friendly, reliable and safe, secure and smartly developed, engaging and resourceful, tech-savvy and dynamically extremely responsive WordPress multi-concept, multipurpose website theme. It is a trust-worthy, powerful theme, completely capable out of the box of managing all sorts of site archetypes & applications, ranging from blogs, portfolios to sophisticated business solutions, due to its incredibly flexible, customizable nature and highly interactive user interface that end users across all demographics easily relate to and get hands on. 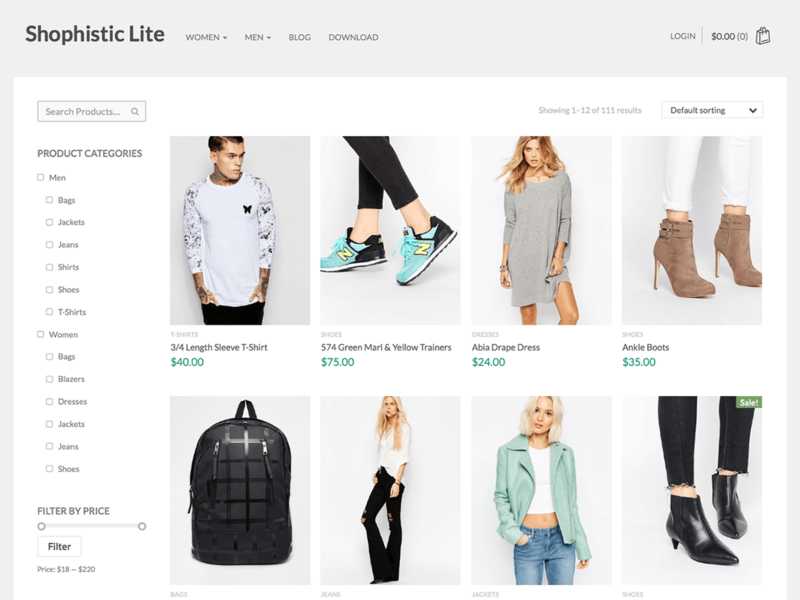 Uncode theme includes an increased & enhanced Visual Composer with powerful trust-worthy features/ elements, the Layer Slider and Revolution Slider, and amazing, fully integrated and visually cohesive deployment of the WooCommerce and all other eCommerce-relevant features like plentiful shop template pages and commercially balanced short-codes such as Pricing & budgeting plans, which will save you a lot of time and which include extensive customization options though the multi-functional and advanced theme option panel that let you fine-tune your website’s look and like feel to no end. Uncode is built on different languages like Bootstrap, HTML 5 and CSS3, and powerful AJAX portfolio filtering, making it a good & perfect theme for all sorts of eCommerce sites across a wide range of industries. It is the time to start selling out, with Uncode. Javelin is a reliable, robust, interactive, attentive, intuitive and very easy to use, resourceful, secure and feature-rich, readily responsive word-press premium multipurpose website theme. Jevelin is well-suited to tackle or to handle the demands of a wide range of website archetypes and usage cases with very ease and without any hassle of having to do any coding yourself in your window. 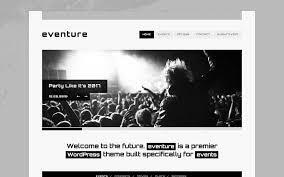 Jevelin is packed with awesome demo websites and page templates that will save you’re a lot of time and efforts in setting up your sites, and with the included demo image content in high contrast, your site is ready to go live at the earliest as you will add your content and finish all your required graphical customization. 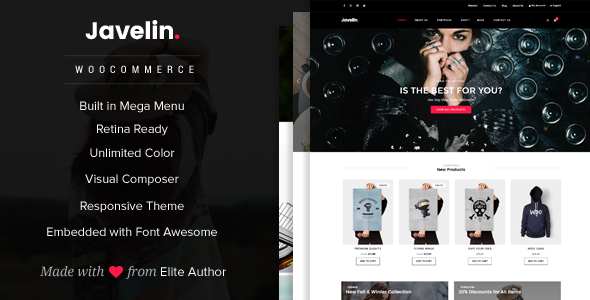 Jevelin is ideal or suitable for webmasters looking to create handy modern online shops with all the features you’d expect of a competent online storefront in today’s market and much more under the hood. Ready to service daily different deals marketplaces as easily as handcrafted items and goods stores or digital product marketing, Jevelin’s commercial capabilities, powered by the industry standard WooCommerce eCommerce plugin suite empower/ benefits you to market your wares to the world at large without a hitch, and with eloquent visual styling to boot. 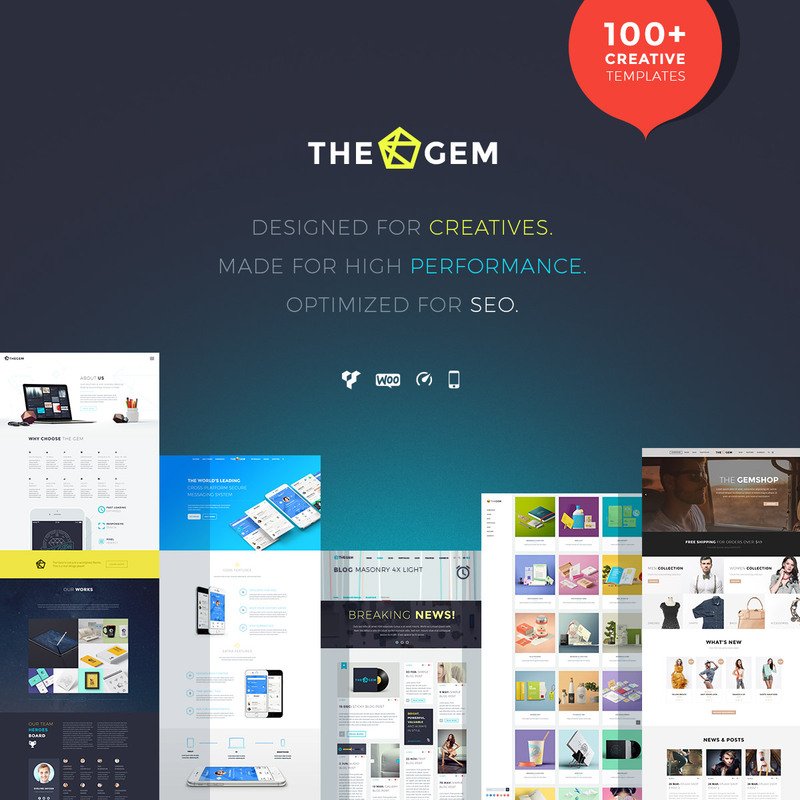 TheGem is a very innovative, deeply attractive, seamlessly modern and ultra-stylish, rapidly responsive WordPress creative multipurpose site theme. This is a splendid toolkit for the development of sophisticated websites across a spectrum of possible available applications and fields of interest, with dedicated tools for diverse scenarios and necessities that adapt perfectly to websites in the professional, personal, business or corporate spheres easily. The Gem packs over 40 unique conceptual and knowledgeable demos for you to get started with, with each a different interpretation of The Gem’s capabilities and servicing a different purpose but adaptable to all thanks to the Visual Composer and The Gem’s set of more than 55 unique VC elements with over 255 customizable settings for them. Setting up shop online is easier than ever before with The Gem, due to its visually integrated implementation of the WooCommerce eCommerce plugin package, which, combined with dozens of handsome shop page styles and a myriad customizable options for your product or item catalogs, image galleries and product portfolios, This theme is an ultra-modern, proficient marketer of just about any items or services. WPM L enabled from the starting. TheGem is packaged with three language options and can be expanded to just about any language with utter ease. All should try this at the earliest required. Best Woocommerce themes are reviewed, categorized and selected based on the few characteristics. Speed of page loading where theme is being used. Quality and beauty of page as being liked by people. 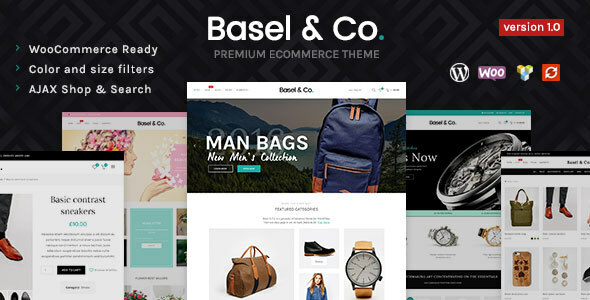 Basel WordPress Theme – Basel offers some really very good features , such as , compare the products , add the chosen item to cart for later purchase ,quick view etc. This comes with a wide number of layouts each having unique options for e-commerce. Only cons of this theme is it’s somehow lesser mobile performance as compared to other WordPress themes. Atelier WordPress Theme – Even when to weigh up huge amount of content, speed of this page is more than sufficient. It is now of the awesome design being used by multiple online stores, comes with multiple variations in layout. Its one click demo content importer is most talked about feature. 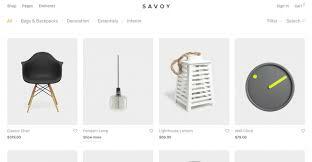 Savoy WordPress Theme – Savoy, though being a picture of minimalism, includes adequate amount of features and layout options. Its minimalist feature provides it 10 out of 10 for page load speed feature leading it to be on the top of our list of best themes. Interestingly, it score 90 for desktop and highly appreciable 70 in Google Page speed Insight Test. 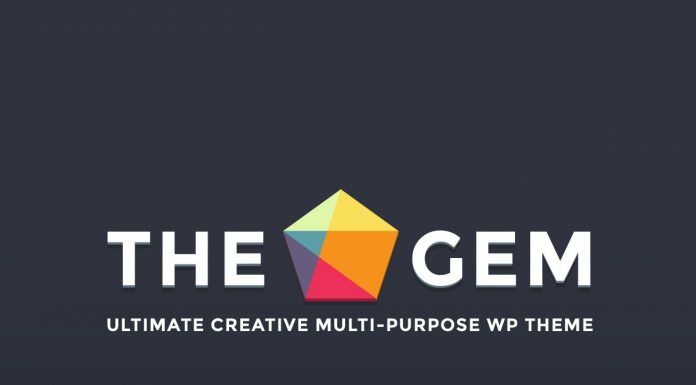 The Gem WordPress Theme – The Gem is one of the most impressive theme, which have taken all the hard work from developers and seems like it needs no improvement. The way media and images have been used automatically provides better experience and brings. As par Google page speed test, The Gem WordPress theme have scored 80 and 90 respective for mobile and desktop experience. Neto WordPress Theme – This scheme has also scored well in Google Page speed insights test. It is again a minimal and modern eCommerce WordPress theme which incorporates a number of homepage layouts to accommodate most requirements. This theme combines sans-serif typefaces, makes great use of white space and incorporates niche specific widgets into its design to create an easy to use and engaging experience. This theme can be called a all-rounder and can be a good suit for almost all kind of online store requirement. This theme have scored good in usability, speed test .Also the product page looks good. Organic WordPress Theme – Although Organic WordPress theme may not be best in any specific regards , it still scores high in all categories .It is a refreshing theme .Main target of the theme is the fresh food , vegetable and fruit industry. Look and feel of the theme is also very fresh and impressive. Though it is not a complete 10 out of 10 kind of theme, features used are adequate enough with all kind of widgets ad elements covered. It has an awesome gallery, mega menu and is really appreciated for compare and quick view widgets. 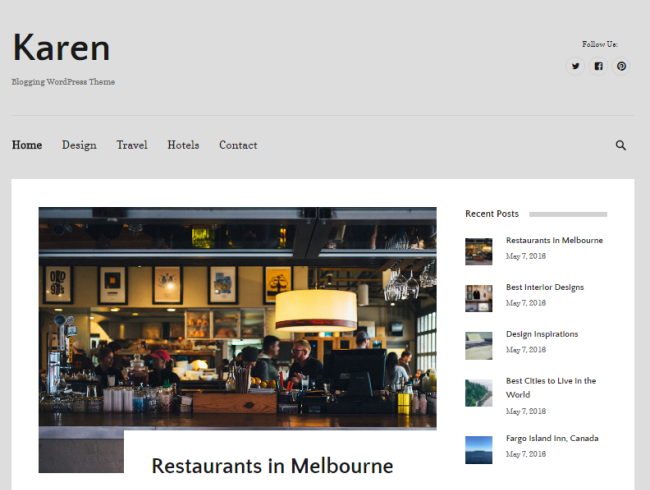 Oxygen WordPress Theme – In terms of design, Oxygen WordPress theme is almost a perfect theme with perfect element spacing, simple yet beautiful colors and their perfect placement, use of pretty images and a perfect transformation of beautiful design for user experience. This website has most of the features that you need for any eCommerce website and comes with enormous layouts and just one loophole which take this otherwise perfect theme a little down in terms of ranking and that is its speed. Though one can outcome this barrier as well with a little hosting options. 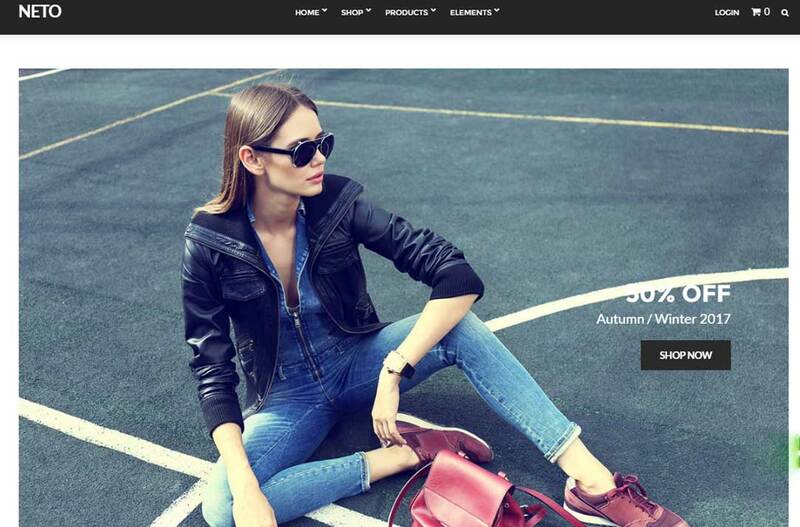 Hugo WordPress Theme – This theme is made essentially for online fashion and lifestyle brands. Theme is full of models groomed perfectly and this is Hugo’s natural way. Though it can be customized to fit in various kind of fashion and lifestyle streams. 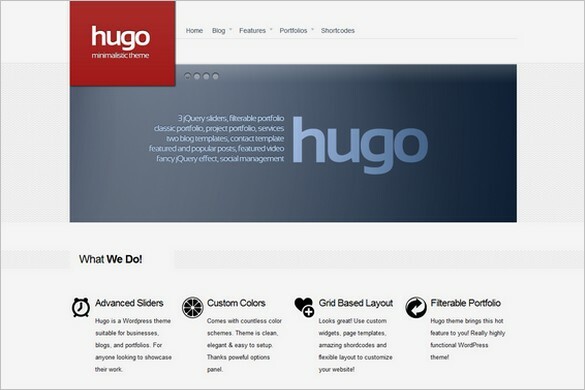 Hugo WordPress theme score well in most of the criteria. 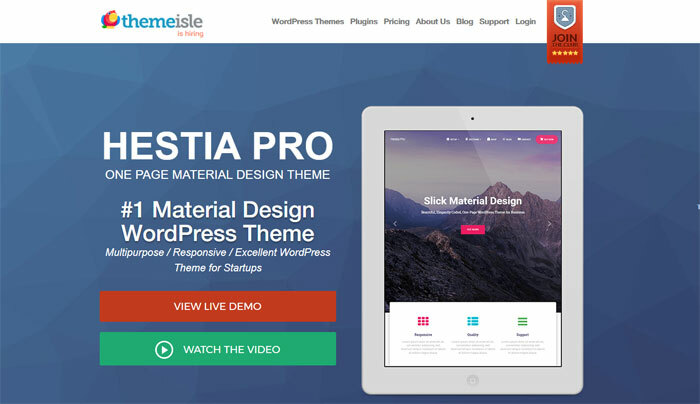 Hestia Pro WordPress Theme – A unique theme, embracing material design principles specifically dimensions. Hestia Pro WordPress Theme images are having round corners and images have sliding hover animations. Though this scheme does not play well in small screen, it is attracting certain stream of users. 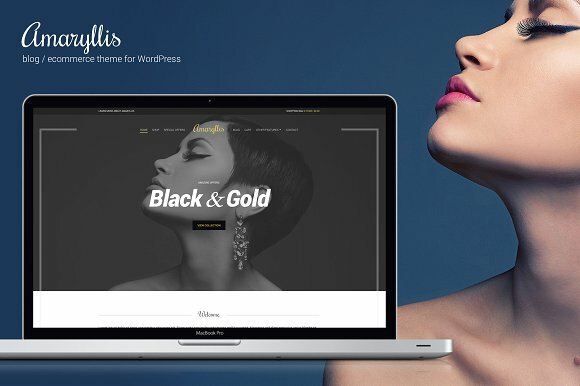 Amaryllis WordPress Theme – Geared towards a much wider audience, Amaryllis WordPress theme is very much similar to Hugo WordPress Theme. It has a little modern look and a loned feel to it. This theme, though having some lag in appearance, have scored well in all categories making it visible in this list. With simple navigation and rich user experience this theme performs well in all type of devices. We are bound to wrap-up the list here based on their scores there are various other themes which despite being a low scorer, are doing good in market. We shall read about them in other document.